Like the petroleum industry, fleet management systems have upstream, midstream and downstream components working to transform crude data into information that fuels business. Those with fleet responsibilities can use a variety of Internet of Things (IoT) devices and applications to collect real-time data from assets in the field. This technology has significantly expanded the volume and richness of data; just as fracking technology created a boom in upstream oil and gas drilling exploration. Cloud computing is the midstream of fleet management. Real-time data from varying sources is piped into servers in the cloud that optimize load planning, scheduling, routing and other business process. Also, in the midstream, data warehousing and business intelligence tools are processing information to make it visible and easily accessible to users downstream. 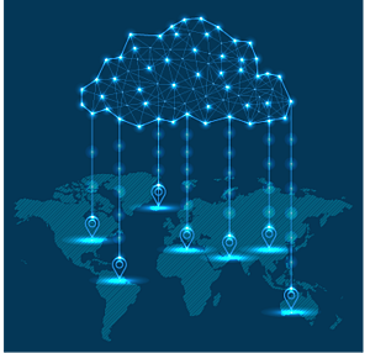 Even with real-time connectivity, vast storage and processing reserves in cloud computing, fleet management systems are moving upstream to edge computing. This method brings the power of cloud computing closer to the source to solve problems and improve results. Advanced driver-assist systems (ADAS) are increasing the presence of edge computing in vehicles. These technologies give drivers instant alerts and feedback to positively change behaviors. Some ADAS will also take control of vehicle functions, like throttle and braking, when necessary to prevent accidents. 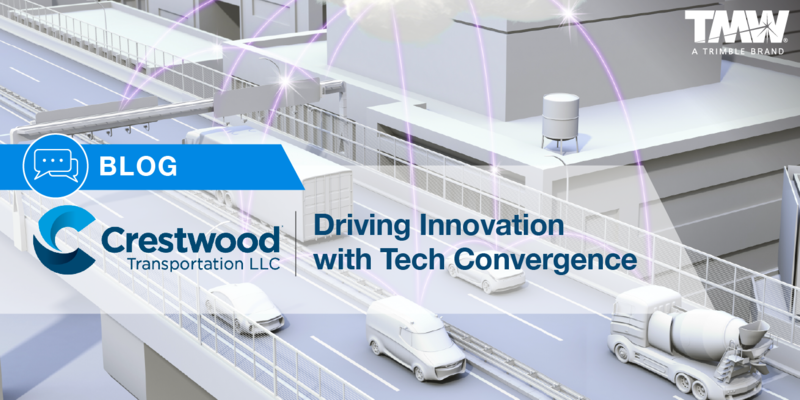 Crestwood Transportation has implemented integrated solutions in all areas of fleet management and gives an overview of new developments in edge computing that can solve critical problems at the source. Crestwood Transportation is a subsidiary of Crestwood Equity Partners LP, a publicly-traded company that owns and operates midstream assets primarily in the Marcellus Shale, Bakken Shale, Delaware Permian Basin, PRB Niobrara Shale, Barnett Shale and Fayetteville Shale. A motor carrier and logistics operation, Crestwood Transportation has a fleet of 350 trucks to move natural gas liquids (NGLs), crude oil, condensate and water for customers nationwide. In the past two years, the company has re-engineered business systems from “tip to tail” to increase efficiency, profitability and safety, according to Jason Meares, Senior Manager of Logistics Systems at the Kansas City, Mo.-based company. For Crestwood, the re-engineering started midstream by implementing the TMW.Suite Fuel Dispatch solution to standardize business processes and centralize scheduling, dispatch and billing functions in a single office. Crestwood uses an integrated load optimizer with Fuel Dispatch to automate regional planning decisions and TMW’s TripAlert and ExpertFuel optimizer to provide drivers optimal route and fuel plans, as well as management tools to monitor actual performance against those plans. Its load and route optimizers have made it so the company is not dependent on institutional knowledge. Loads are built and planned based on heuristics and algorithms to maximize capacity. Besides standardizing business processes, the company has a data warehouse and business intelligence tools that assimilate financial and operational data. These technologies have provided real-time visibility to profitability of every order by lane, commodity and customer. These midstream technologies feed insights to downstream users through reporting using Microsoft SQL Server Reporting Services, proprietary dashboards and data visualizations built using TMW BI and other proprietary BI tools. The carrier also uses the Microsoft Azure cloud computing platform, Microsoft Power BI and the Microsoft O365 environment to expand the depth and breadth of its data visualizations. In the upstream of fleet management technology, Crestwood — like many companies — is using mobile devices and applications to send and receive operational data to servers in the cloud. The company’s solutions give drivers a better work experience while improving safety and efficiency. Crestwood Transportation uses mobile platforms from Omnitracs and PeopleNet for telematics and in-cab computing. Both are integrated with TMW.Suite and Fuel Dispatch to automate steps in the order-to-cash cycle. A new PeopleNet application the company is rolling out is specifically designed for crude and tanker workflows to create more efficiencies for drivers and the back office while capturing critical load information important to its customers. The improved systems and processes only require intervention from drivers or managers when an exception occurs. When the Omnitracs and PeopleNet systems detect critical engine fault codes, for instance, alerts are sent directly to maintenance shop managers with all the information they need to assess the situation. Shop managers can respond directly to drivers if immediate action must be taken or work with fleet management to schedule maintenance in one of Crestwood’s six maintenance shops located throughout the United States. For detention events, drivers complete a macro using Omnitracs or PeopleNet units. The macro automatically communicates their current location, detention status and other important information from the driver to fleet management and to the customer. The system, referred to as “First Alert,” is more than a detention tracking tool. It is designed to notify fleet management and customers of the potential demurrage or delivery delay before detention occurs. Fleet management and customers are able to work together to reroute trucks to alternate locations to pick up or deliver product, which saves the carrier and customers time and money. If the customer decides to accept the detention event and pay the charge, the system automatically calculates detention time based on geofence data from the Omnitracs or PeopleNet units. It provides supporting documents and details in the invoice collected and saved in an imaging system during the First Alert process. Through in-cab scanning technology integrated into Crestwood’s imaging system, the carrier is able to bill customers within hours of completing a delivery which has a positive impact on DSO, Meares says. Another business process that uses manual intervention is a site safety macro. When a driver pulls up to a customer site and notices something that is unsafe, like a valve leaking, the driver completes a site safety macro. This triggers an email to Crestwood’s Environmental Safety and Regulatory (ESR) department who contacts the driver, customer and other appropriate party based on severity. The site safety macro enables ESR to provide assistance to drivers and customers within minutes of reporting a problem. Motor carriers have many new options to deploy edge computing technology to solve problems close to the source, particularly in the areas of driver safety and routing. With the ECM, sensors and ADAS systems on a vehicle, “we are at a point in time where there is a ton of data you can use,” says Mark Wallin, Vice President of Product for Verizon Connect, a telematics provider. The question for fleets is no longer what data do you want, he says, but how will you use it to improve, manage and monitor overall safety? 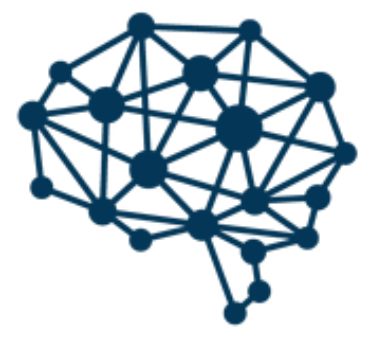 A prerequisite for edge computing is that data at the source be tightly integrated and synchronized to avoid mistakes in areas with little margin for error. Crestwood Transportation uses the Lytx DriveCam video-based safety program in its trucks. The system captures video and data when triggered by events detected using internal and third-party sensors and ADAS systems. The triggers include critical safety events such as speeding, harsh braking or activation of a vehicle’s anti-rollover system. ESR and management use the event records to provide drivers coaching and training to improve safe driving behaviors and awareness, Meares says. Rather than add more IoT devices and sensors to a vehicle, Verizon Connect integrates with third-party systems and offers an online driver scorecard that gives fleet managers a full assessment of driver safety. The scorecard uses event data from the vehicle and from third-party systems such as lane departures and following distances. Truck manufacturers have moved to the front lines by developing connected vehicle platforms that are installed at the factory to bring together data from various sources and provide fleets with a single, easily accessible reservoir of information. Later this year, Navistar plans to install its telematics platform, OnCommand Connection, on International Trucks at the factory. The technology will be an integration hub for various ADAS, cameras and other connected vehicle technologies that its customers use. The technology will give online access to information from these systems through a single dashboard, says Terry Kline, Senior Vice President and Chief Information Officer of Navistar. As motor carriers continue to adopt edge computing technology, a number of companies are positioned to collect more data from their diverse set of customers to create new solutions for different sectors in the transportation industry. With this big data, they can apply machine learning and artificial intelligence (AI) in the cloud to identify useful patterns and further advance product development. With AI, complex patterns of driving behaviors such as fatigue and distraction can be identified. Edge computing applications can then be updated over the air with algorithms that can recognize patterns instantly via machine vision. With the combination of edge computing and machine vision, critical events triggered by driver fatigue, loads running late, and many other exceptions can be predicted and acted upon in advance to positively change the outcome. PeopleNet offers a Safety Analytics dashboard that brings together video and event data to give fleet managers an aggregate view of driver risk, explains Thomas Fansler, President of Trimble’s global Transportation Mobility division which includes PeopleNet. To have real-time analytics interwoven in the cab when a driver is exhibiting risk, “you have to be at the edge,” he says. Samsara, an enterprise IoT systems company, offers what it describes as “a complete data platform” for transportation operations that combines real-time GPS tracking, wireless sensors, video and mobile applications. As cloud computing and edge computing move fleet management technology further upstream, drivers and managers will be able to make instant data-driven decisions. Information that used to be available after the fact is now being refined immediately-- delivering key insights to users at the source to positively change the outcome.